On this date in 1843, the future 25th President of the United States was born in Niles, Ohio. 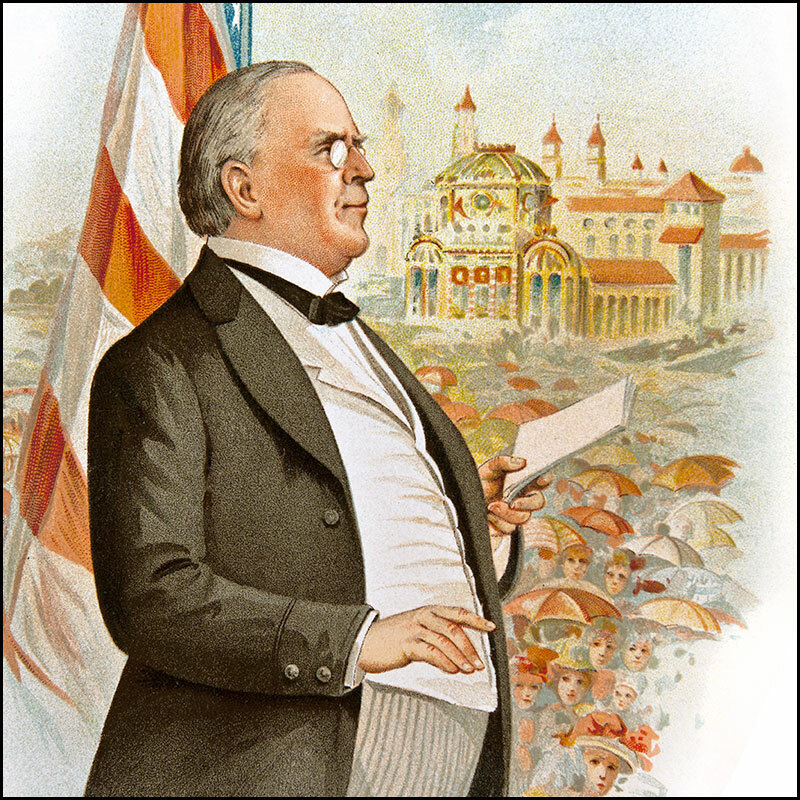 Explore FCIT’s collection of images related to President McKinley’s life and administration. 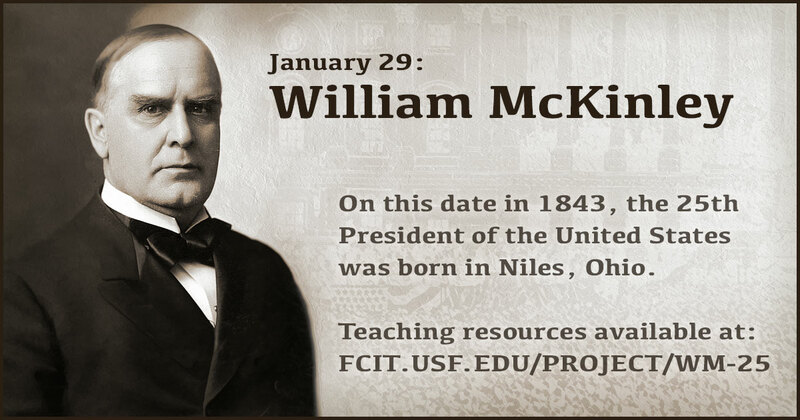 Use this banner on social media to share our William McKinley resource collection. 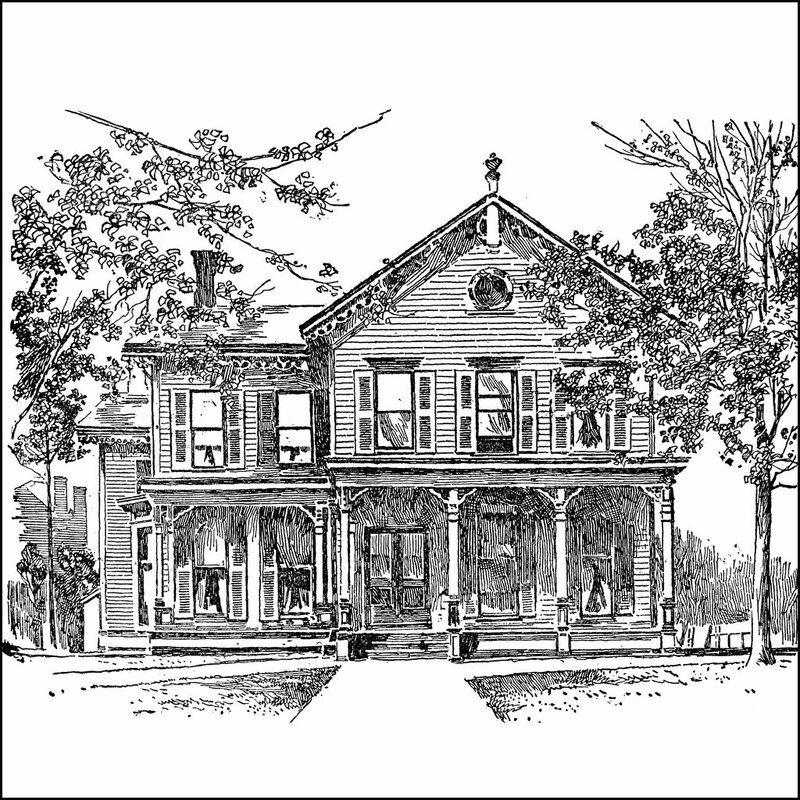 Sketch of McKinley from the ClipArt ETC website. 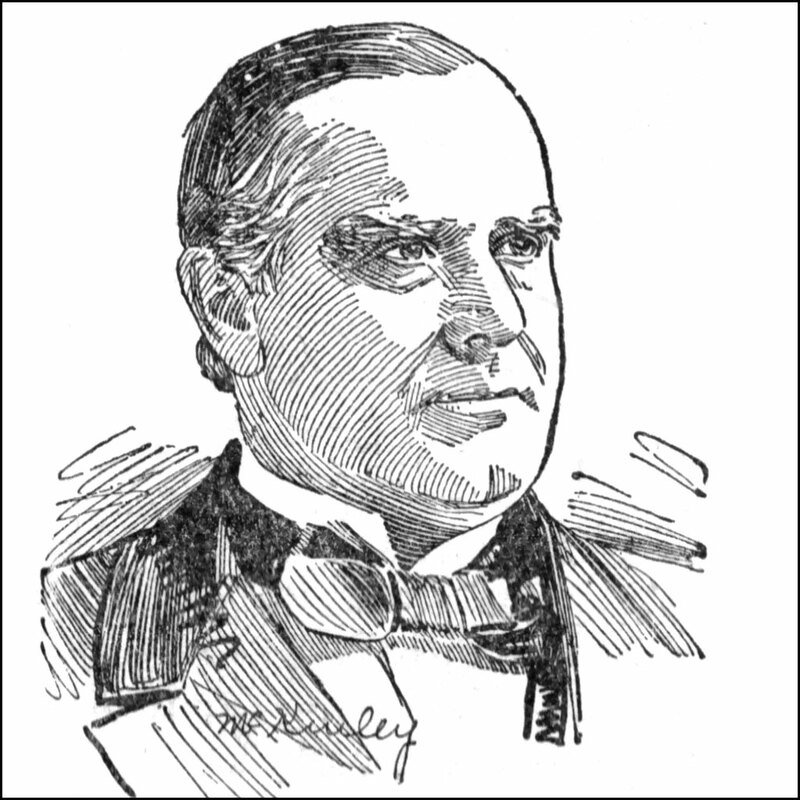 William McKinley portrait from the ClipArt ETC website. 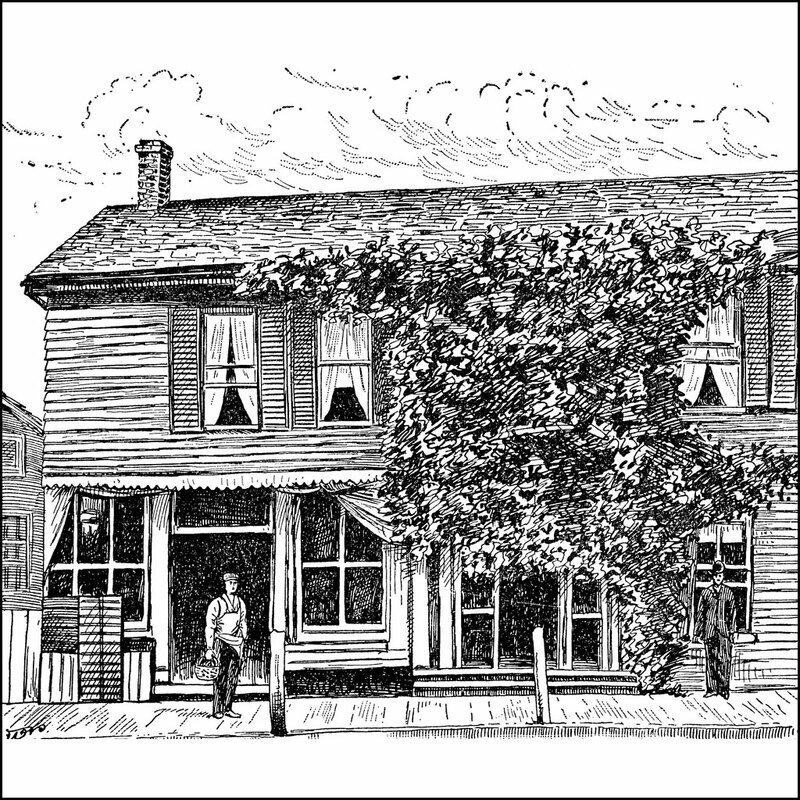 The birthplace of President William McKinley in Niles, Ohio, from the ClipArt ETC website. The home of President William McKinley in Canton, Ohio, from the ClipArt ETC website. 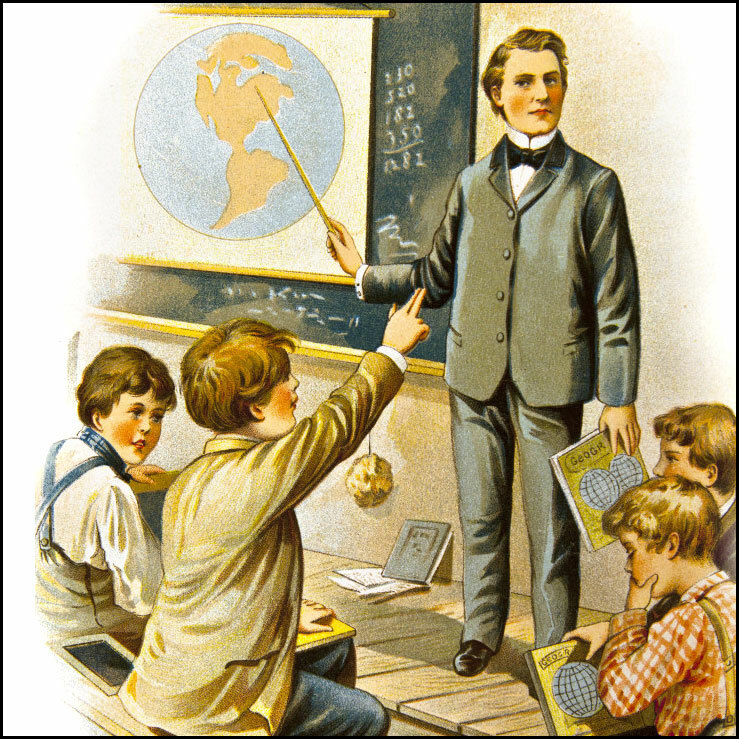 McKinley as a school teacher from the ClipPix ETC website. 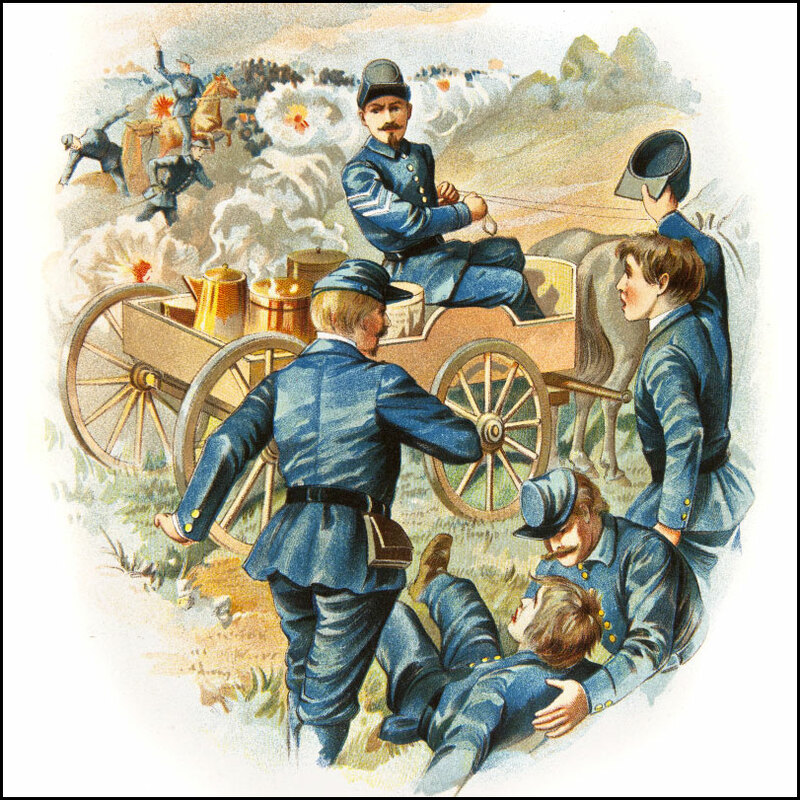 William McKinley carrying coffee to the troops at Antietam. 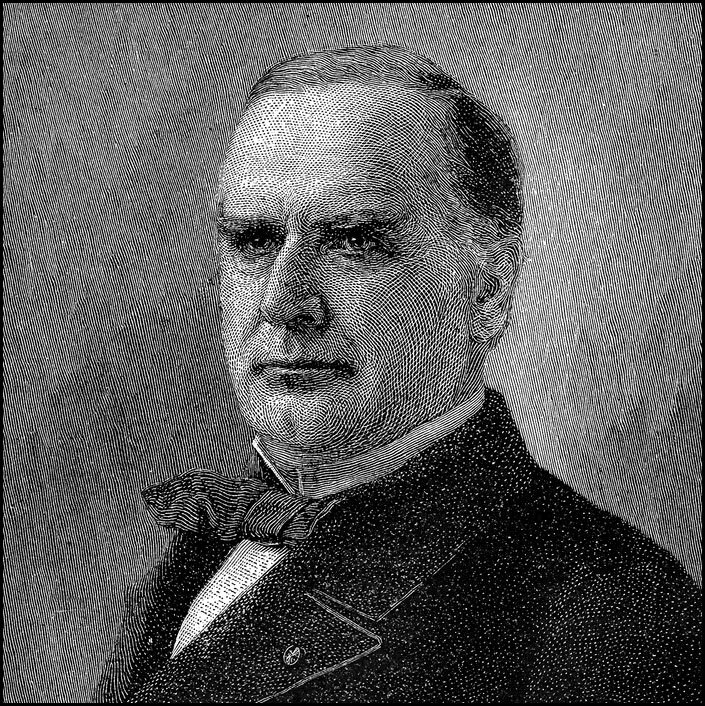 McKinley was the last president to have served in the American Civil War. 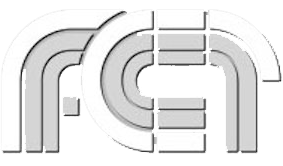 Illustration from the ClipPix ETC website. 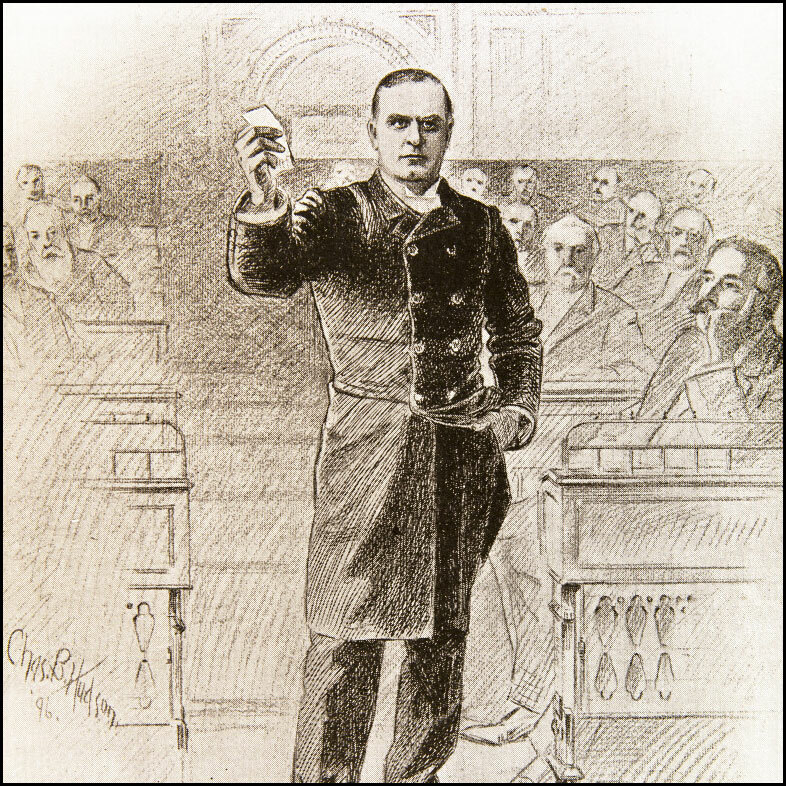 Representative William McKinley speaking on the floor of the United States House of Representatives in support of the Tariff Act of 1890, commonly called the McKinley Tariff. Illustration from the ClipPix ETC website. 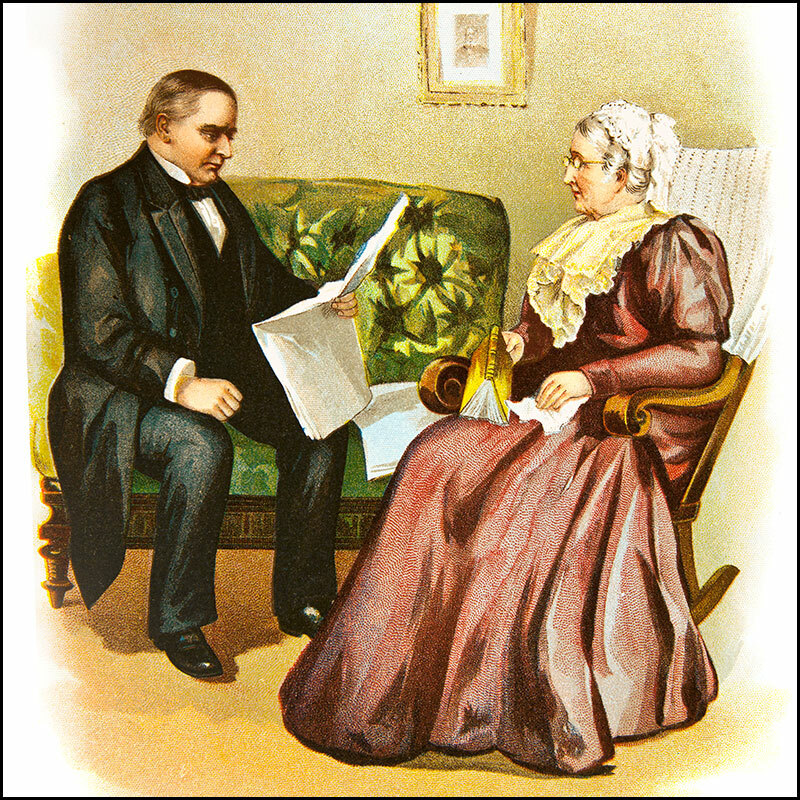 President-elect William McKinley reading the results of his election to his mother from the ClipPix ETC website. 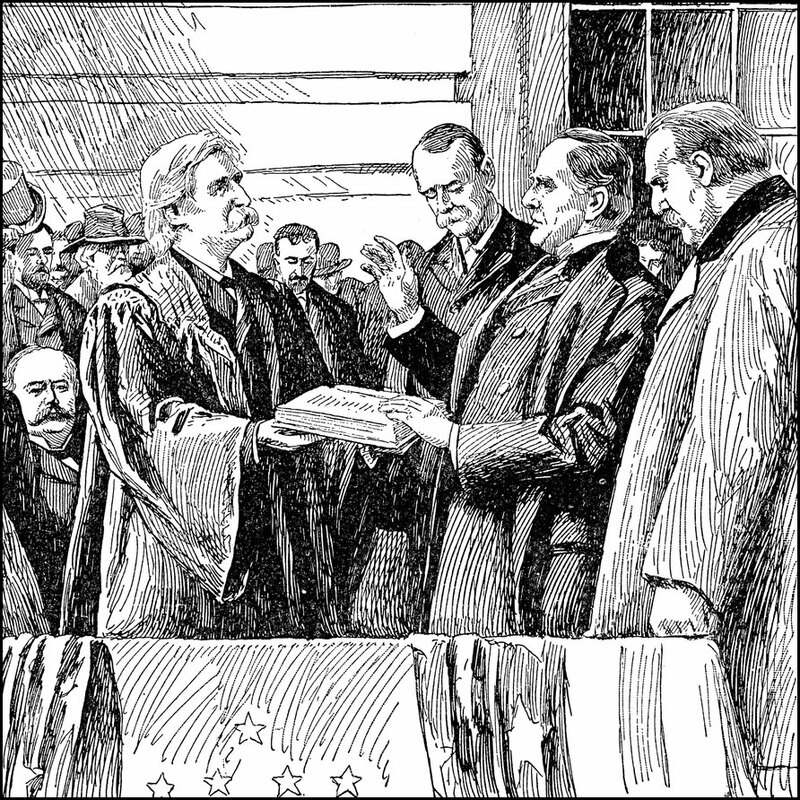 First Inauguration of William McKinley on March 4, 1897, from the ClipArt ETC website. 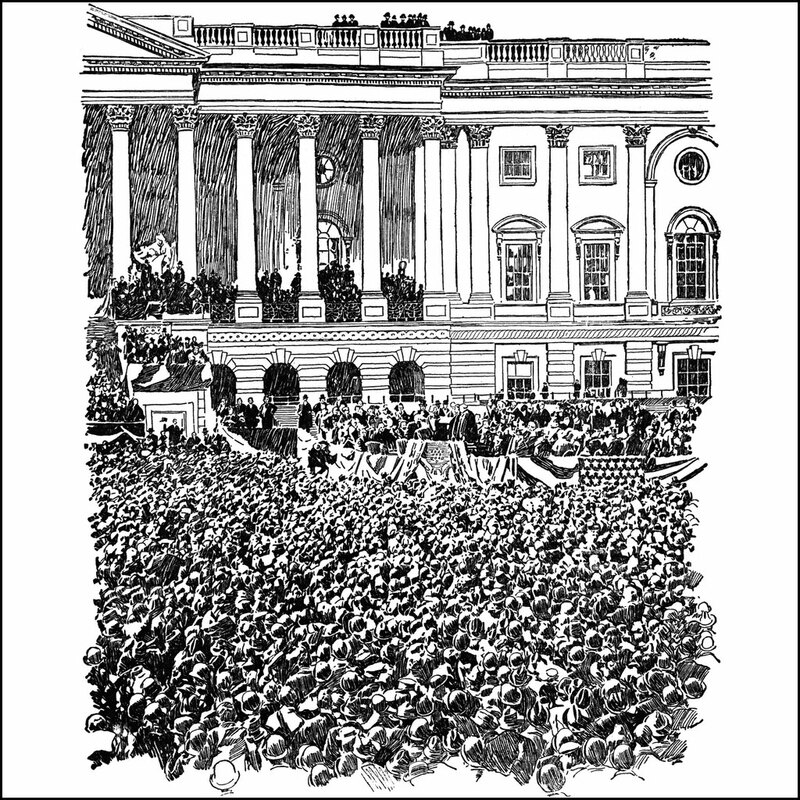 Audience at the McKinley inauguration from the ClipArt ETC website. 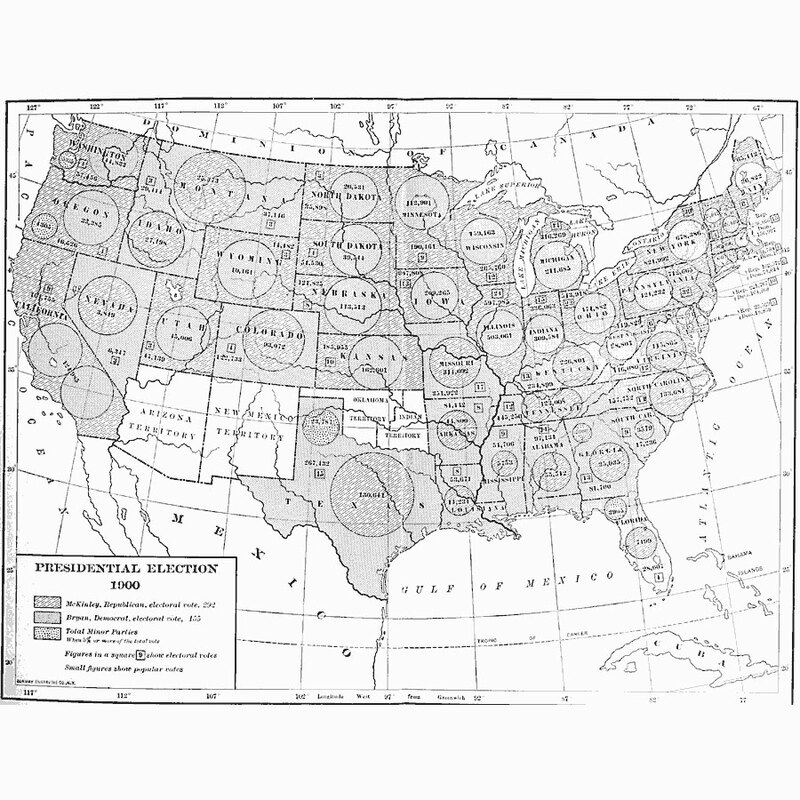 A map of the United States showing the results of the 1900 presidential election from the Maps ETC website. McKinley easily won re-election to a second term. 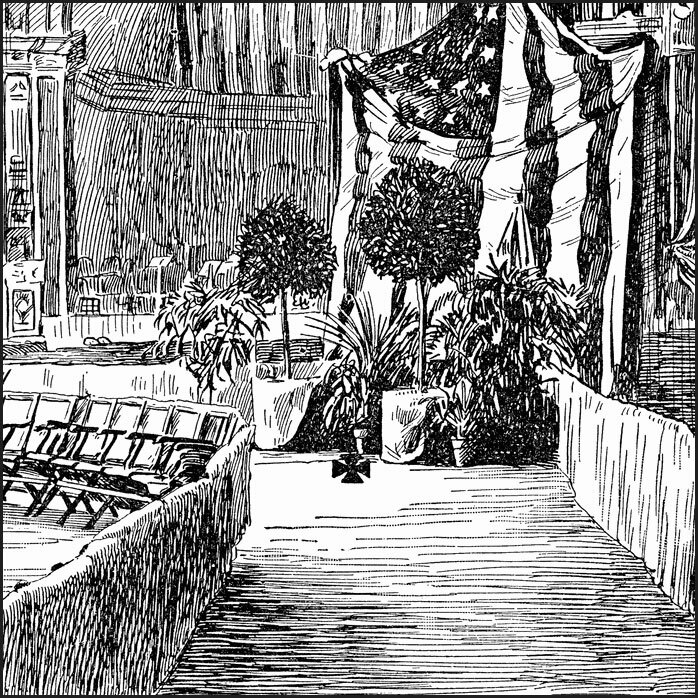 Interior of the Temple of Music at the Pan-American Exposition in Buffalo, New York from the ClipArt ETC website. The President was standing where the X is when he was assassinated just six months into his second term.